Vikings Coach Zimmer… Wearing safety glasses… WHY??? 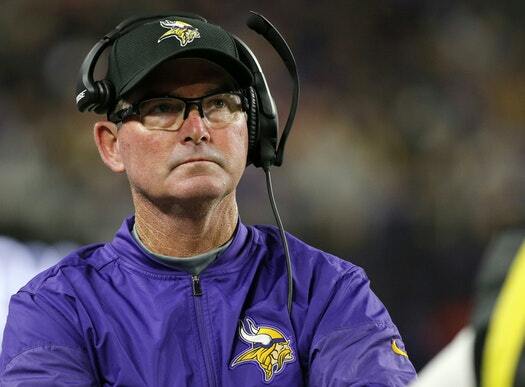 Why is Vikings coach Zimmer now wearing safety glasses? While watching the unbelievable Minnesota Vikings Miracle game, I noticed coach Zimmer wearing what appeared to be safety glasses instead of his usual readers. Why now would he be wearing safety glasses after over a year and a half of eye surgeries? One of the cardinal rules of eye care is to stress to patients with only one functional eye that they must always protect the remaining good eye. Obviously, eye protection is important for everyone but Coach Zimmer had a retinal detachment repair that apparently did not go well and required multiple surgeries. A retinal attachment can be a visually devastating event especially if the macula or center of sight is involved. Often times the repair surgeries are meant to reduce further vision loss and hopefully regain some vision but in many cases, full visual recovery never happens. This often leaves a patient with limited or marginal vision in the working eye which makes it extremely important that they protect the remaining good eye. “ It’s all fun and games until someone loses an eye” and I have seen eyes lost in the weirdest ways. A freak accident on the sideline or at any other time in the coach’s life which results in damage or loss of his remaining good eye could leave him with only the partial vision in the operating eye and possible functional or legal blindness. Take good care of your retinas and go Vikings!